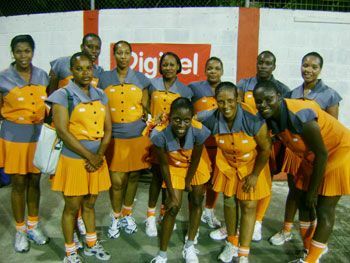 Maple Netball Club returns to the state this weekend after winning the Barbados Workers Union (BWU) Netball Festival. As guests, Maple was part of last Sundayâs opening ceremony which took place at the Netball Stadium. Last Tuesday evening, Maple whipped the Barbados Workers Union A team 44 to 37, as the rains ceased and gave the players a chance to show their skills. Leading the scoring for Maple was Goal Shoot Skiddy Francis Crick who poured in 36 of her 41 attempts and Goal Attack, Thelma Foster, who scored 8 of her 11 attempts. On Wednesday evening in back to back matches, Maple whipped Ravurz 28-18 and then closed out their tour with a 44-17 drubbing of Barbados Workers Union team B. Maple, the oldest Netball club in the Organization of East Caribbean States is this year celebrating its 58th year as an institution. The club which appears as Vita Malt Maple in the First Division of the Digicel National Club Tournament placed second to Western Union Mitres/TRAC in both the League and Knock Out competitions of this yearâs edition. Apart from Francis-Crick and Foster, the Maple contingent also includes Sheldene Joseph, Saska Diamond, Elizabeth Caruth- Matthews, Vasha Adams, Curlan Francis- Edwards, Rose Clair Hall, Debbie Jordan, Stacy Davis, Janet Toney, Bownie Allicott and Isha Sam.